Great Britain is famous for loving sport. They love cricket, football and rugby, but other sports have to compete for sports fans’ attention and passion. Thanks to the fans from Poland and other countries, volleyball has become continually more popular and attracts huge amounts of attention. There are three tiers of volleyball in London with over 100 teams and yet Eurosport has a short weekly summary program of Champion’s League volleyball aired at prime time. IBB Polonia London VC takes some responsibility for improving the status of volleyball in London. They have been totally open about wanting to “teach England how to play volleyball”. Thanks to the hard work carried out by the Club, the popularity of the sport has continued to increase and strives to share their know how and expertise gained from Poland – the current World Champions. The Polish community based around The Club aim to promote culture, tradition and history from their homeland and also aim to develop Polish-British tourism. Initiatives surrounding this are from, amongst others, The Polish Tourism Organisation as well as PGE Skra Belchatow. This cooperation has produced a number of successful events such as the London legacy Cup for the Polish Airforce Trophy that commemorated the 75th anniversary of the Battle of Britain. This event saw a number of European teams competing for the prestigious prize. The successes of a variety of events from the past result in an initiative between IBB Polonia London VC and Poland Travel which aims to promote the countries, tourism and volleyball. “Poland has an outstanding reputation in volleyball and The PNTO values the work carried out by IBB Polonia London VC. The sport attracts numerous fans to Poland and we know that the potential numbers are even bigger. We aim to increase our communications, especially in social media, to attract more sports fans. The Polish Tourism Organisation in London logo will appear on the match shirts of IBB Polonia London” commented Iwona Bialobrzycka (Director of the Polish Tourism Organisation). The London club, by its very existence and hard work, is visible not only in the UK. 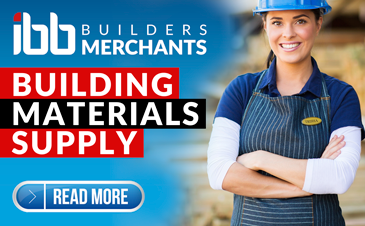 Its aims are far reaching and it is becoming more visible in international communities. 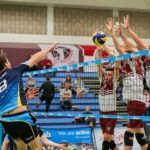 The club is gathering fans from other teams and the European Federation, as shown by the successes recent in the CEV Challenge Cup in the home sports all of its partner in central Poland. 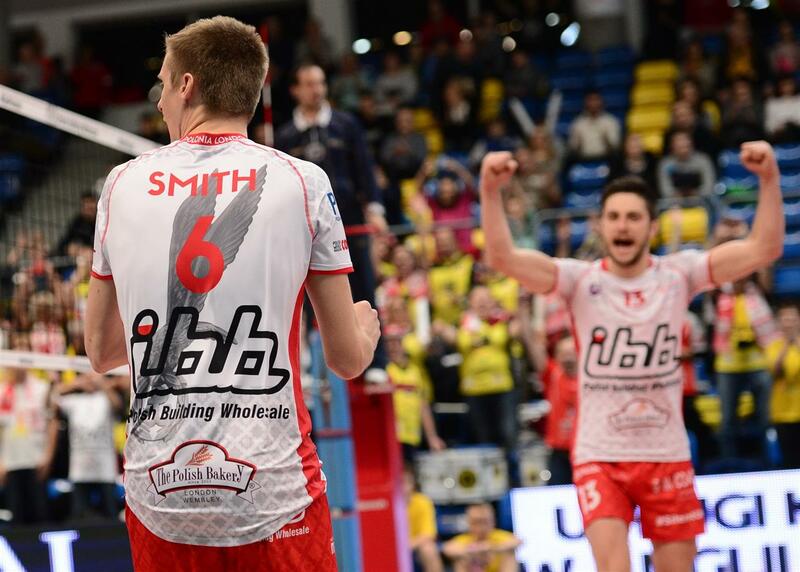 “The IBB Polonia London match that took place in the home sportahll of PGE Skra Belchatow was the result of many years of cooperation between the two clubs. It was appreciated, not only by the fans and the volleyball community that has always totally supported the club, but also the community who knows little about the sport on a regular basis. Once we had won the match in Poland and had progressed to the next round of the CEV Challenge Cup, the rest of the world became interested in, amongst other things, developing international cooperation. We have built our experience on the past, and eagerly continue our Polish-British actions as we see countless benefits for The Club and its partners” said Bartek Luszcz, IBB Polonia London Chairman. This work is just one branch of what is taking place on a regular basis to put London on the volleyball map. IBB Polonia London VC, as a pioneer of the sport in the UK takes its ideas from the best and takes its first steps in the serious world of international volleyball. Thanks to the involvement in the prestigious European volleyball tournaments described, the number of fans attending home games has skyrocketed from many countries of the world and shows that this is just the beginning of the future of the sport in London. All of the work carried out by The Club can be counted as a blueprint of sport and diplomacy that is used as a development in many countries around the world.